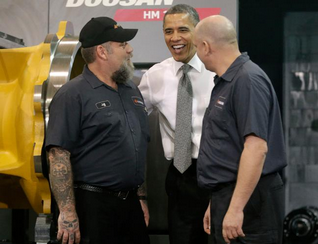 Obama touts right-to-work NC manufacturing? – Politics – The Detroit News. “Opossum Right-To-Work Act” Bill Introduced By NC Lawmakers | digtriad.com. CHAPEL HILL, N.C. — A group of housekeepers at the University of North Carolina at Chapel Hill have filed a grievance against their bosses for what they call a pattern of abuse. The housekeepers allege that Williams humiliates them publicly, calls them “stupid” and makes them cry from “constantly screaming” at them while Reaves “tries to pit” housekeepers against one another. Last year, a consultant’s report examining problems in the university’s housekeeping department found that housekeepers were treated unfairly and faced retaliation from managers when they complained. The university said it would implement recommendations from the consultant and pledged to correct the problems, but in their grievance, the housekeepers say the problems have gotten worse. via UNC housekeepers claim fear, intimidation by manager :: WRAL.com. Lawsuit: Prison guards deleted beating video | WCNC.com Charlotte. A recently formed parent group at American Renaissance School filed a grievance with the ARS Board of Directors last week, citing major concerns of “a lack of confidence and trust in the current school administration” and board functionality. It is the first time a parent or group of parents has ever brought a formal grievance against the school directly to the board. ARS’ grievance policy states that if the grievance is presented to the board, then the parent or guardian bringing it forward will be asked to speak with the full board. The policy also says that the board chairman will decide whether to bring the grievance to the full board for discussion. The number of members in the parent group isn’t clear. The first of two main concerns stated in the group’s letter is “lack of school morale, both parent and teacher, stemming directly from a lack of confidence and trust in the current school administration.” A potential solution offered is for the board to conduct an immediate and anonymous survey of all staff members from the last three years, asking for reviews of the superintendent, middle school principal, director of elementary education, director of curriculum and exceptional children’s director positions. Cheryl Frey, Ph.D., the former principal of American Renaissance Elementary School, resigned the first week of June, citing lack of communication with ARS Superintendent Stephen Gay and “intimidation tactics at staff meetings” as reasons in a letter to the board explaining her decision. The second concern in the parent group’s letter is board functionality. The solution offered asks for greater transparency in board member selection, an increase in the diversity of the board and the implementing of a conflict of interest policy. Several issues raised in the letter call for improved communication from the board and the school’s administration to parents and teachers. George, who assumed his role as board chairman July 1, said if improved communication and greater transparency is the result of the grievance, then the complaint can turn into something positive. George and Gay said the parents’ concerns would likely be addressed at the July 31 board meeting. Discussions will have to be made in closed session because it is a personnel issue, said Gay. Gay said he recalled only one prior formal grievance being made in the school’s history, which was from a parent complaining about a specific teacher. via ARS parents file grievance with board | Statesville Record & Landmark. Teamsters Local 391, which represents the Raleigh Police Protective Association, an interest group of nearly 600 officers, says the Priority Performance Measure system judges officers on their actions, such as the number of traffic stops or security checks they carry out or the number of arrests for crimes like driving while impaired. “Chief (Harry) Dolan is taking us down a path toward a quasi-quota system that will have police officers chasing numbers instead of criminals,” Raleigh police officer Trey Walters told reporters at a news conference Thursday afternoon. The grievance, which says the new system is “fraught with inaccuracies, inconsistencies and errors,” points to several concerns. One, for example, is that officers might end up targeting citizens and writing more tickets to get a better review. “Chief (Harry) Dolan is taking us down a path toward a quasi-quota system that will have police officers chasing numbers instead of criminals,” Walters said. Dolan says that’s not his aim with the new performance review system, which was implemented July 1. The goal of the system, he says, is to accurately measure officers’ work, especially as it relates to community policing and officers interacting with the public. Southeast Raleigh, for example, had a significant problem with guns, gangs and drugs in 2007 and 2008, Dolan says. He asked officers to build trust in the community and work together with residents to reduce violent crime. Dolan says he’s aware of problems and concerns that officers have had with the new evaluations. He’s met with captains and officers, as well as the Teamsters, in the spring. Teamsters representative Chip Roth says Dolan has not listened. He says he expects at least another 100 officers to file similar grievances within the next week. via Amid grievances, Raleigh police chief defends policy :: WRAL.com. Catherine Brand: Representatives for some Raleigh police officers have filed a grievance against a new department evaluation policy. Gurnal Scott reports. Trey Walters: Chief Dolan is taking us down a path that will have police officers chasing numbers instead of criminals. Walters says this system will hurt police work and ultimately convictions. Walters: When defense attorneys start asking at D-W-I trials, ‘Hey..what’s the motivation for this stop? And if they find out police are stopping cars for the sole purpose of meeting a quota, it’s going to produce some serious problems. The Teamsters say more officers will join the grievance next week. Chief Dolan said in a statement that numbers of stops and searches grade performance. An expert who worked with the chief on the policy says the grievance filed is inaccurate. via Raleigh Police Officers File Grievance Over Evaluations —. HILLSBOROUGH – Orange High has a new principal, even as the old one fights to get his old job back. Jason Johnson, the principal of Gravelly Middle School from 2006-11, will replace Armond Hankins, who filed a grievance Tuesday over his May 14 demotion to assistant principal at an as yet unnamed school. Hankins had previously said he did not plan to accept the demotion. Johnson formerly served as an assistant principal at A. L. Stanback Middle School from 2001-04. Most recently, he has been working with the N.C. Department of Public Instruction as a school transformation coach, where he worked with school principals across the state to improve student achievement and learning environments. “Orange High School is known for excellence throughout the state of North Carolina and I am looking forward to helping build upon the school’s extraordinary reputation,” Johnson said in the Orange County Schools news release. Johnson was the 2009-2010 Principal of the Year for Orange County. He is currently pursuing his doctorate in educational leadership at UNC-Greensboro. Johnson was a computer skills and business teacher in Chatham and Guilford county schools before joining A. L. Stanback Middle School as an assistant principal. He served as a principal with Guilford County Schools from 2004-2006. A group of parents and others have signed an on online petition supporting Hankins and suggesting race was a factor in his demotion, after the departure of other black administrators in recent years. The school board has said race was not a factor in the decision. Johnson and Hankins are both African American. There is no mention of race in Hankins’ written response Tuesday to the evaluation that led to his demotion – a response addressed to Rhodes that concludes with the filing of his grievance. In his response, Hankins addresses communication and procedural issues cited in the evaluation, among other items. He maintains that issues and complaints during his two-year tenure were relatively few compared to other principals. Hankins lists academic and overall achievements at Orange High School during his two-year tenure, including higher SAT scores, designation as a School of Distinction with High Growth and 76.8 percent fewer suspensions. In closing with the formal filing of his grievance, Hankins’ response notes that his demotion will reduce his pay by more than $2,300 monthly. According to the school district’s grievance policy, adversely affected terms or conditions of employment are among the allegations that a grievance may include. The grievance process includes a meeting, investigation and finally a written response within approximately two weeks of the filing. The employee filing the grievance may appeal the final decision to the school board. via chapelhillnews.com | New principal named for Orange High School. The N.C. Board of Education wants a Wake Superior Court Judge to block a Wall Street-run virtual charter school from opening in the state. In an appeal filed Wednesday, state officials are arguing that an administrative law judge erred in a May 8 ruling permitting the virtual charter school to open its portals this fall. A hearing on a temporary motion to stay the school’s will be held at 10 a.m. on June 4th, in the Wake County Courthouse. The North Carolina Virtual Academy, which will be run by the Wall Street’s K12, Inc., would exist solely online. It wants to recruit students from across the state to attend the publicly-funded cyber school run by a for-profit company under N.C. Learns, a non-profit organization set up to house the virtual school. The virtual school permits students to take classes from their home computers, and will loan computers to low-income children that enroll with the school. via State school board asks Wake judge to block for-profit virtual school « The Progressive Pulse.